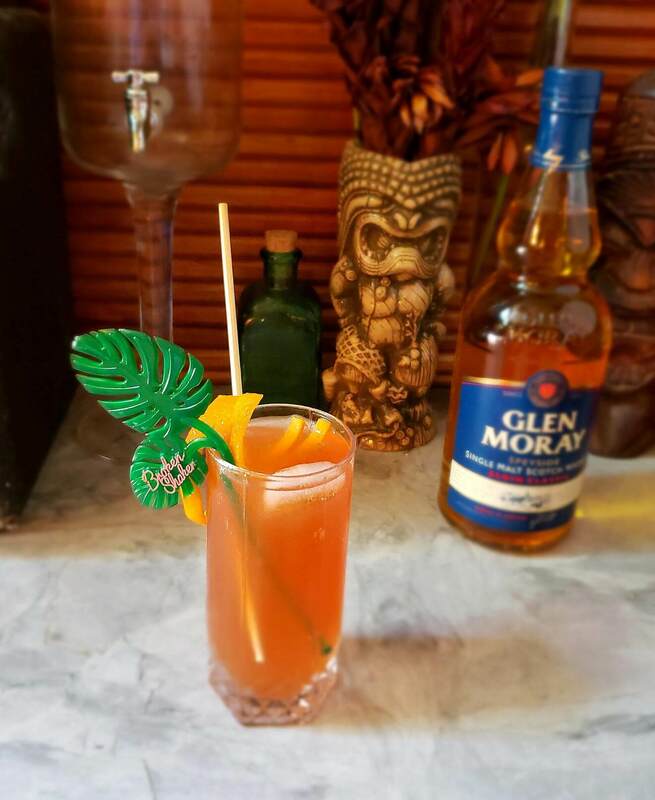 In an effort to demonstrate the traditional yet modern character of single malt scotch, Glen Moray Distillery invited Chilled 100 members to craft cocktails using an expression from its collection. 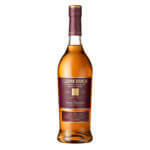 Glen Moray Distillery originated in 1897 and is located in Elgin within the Speyside region. 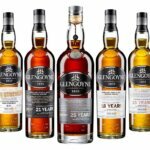 Its single malt scotches are unpeated, making them very approachable, and its barrelfinished expressions are very popular among millennials. The Glen Moray Classic Collection is a perfect marriage of innovation and heritage, challenging the boundaries of flavor while employing the brand’s traditional technique. 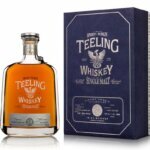 The result is an intriguing range of whiskies that will enchant both whisky novices and enthusiasts alike. 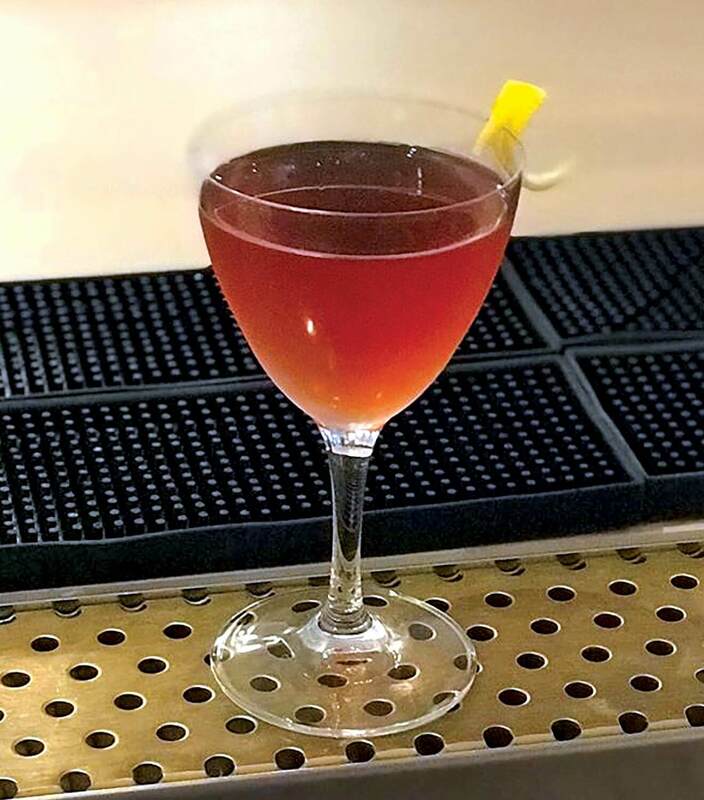 Five Chilled 100 mixologists shared their unique cocktail recipes and visions while mixing with different expressions of Glen Moray. Preparation: Dry shake ingredients; then shake with ice and pour into a teacup. Garnish with a golden berry and dehydrated lemon wheel. 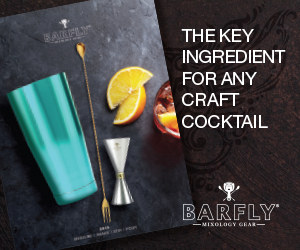 Rael Petit created a bar consulting company called Rebel Disco almost a decade ago, creating cocktail menus for multiple bars in Manhattan and Brooklyn, including Trump SoHo, MPD, STASH, Blackhound, SubMercer, Lot 45, and the Gansevoort Hotel.e, In 2013, Petit, Jeremy Strawn, and Nick Boccio opened Mulberry Project together, which Petit co-owns and manages. Additionally, he opened ROX, a Lower East Side art gallery. 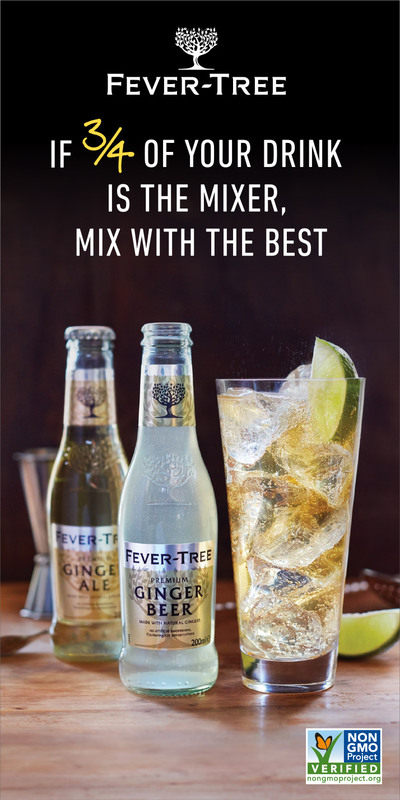 Preparation: Build all ingredients except soda in a highball glass. Add ice and top off with soda. Add 1 cup guava puree, 1 1/2 cup Demerara sugar, and 1/2 cup dried hibiscus flower in a small saucepan. Cook until the sugar has diluted and the hibiscus color has been extracted. Strain and add ½ cup malt vinegar. Let cool. 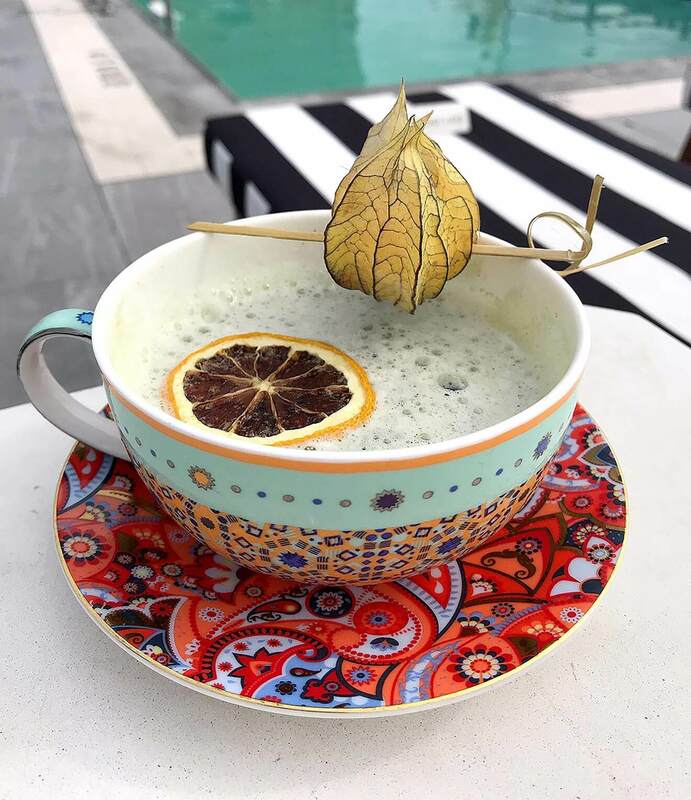 Damon has bartended for Broken Shaker Miami Beach — which won the 2015 Spirited Awards’ Best American Hotel Bar and was ranked 16th by The World’s 50 Best Bars—for nearly four years. 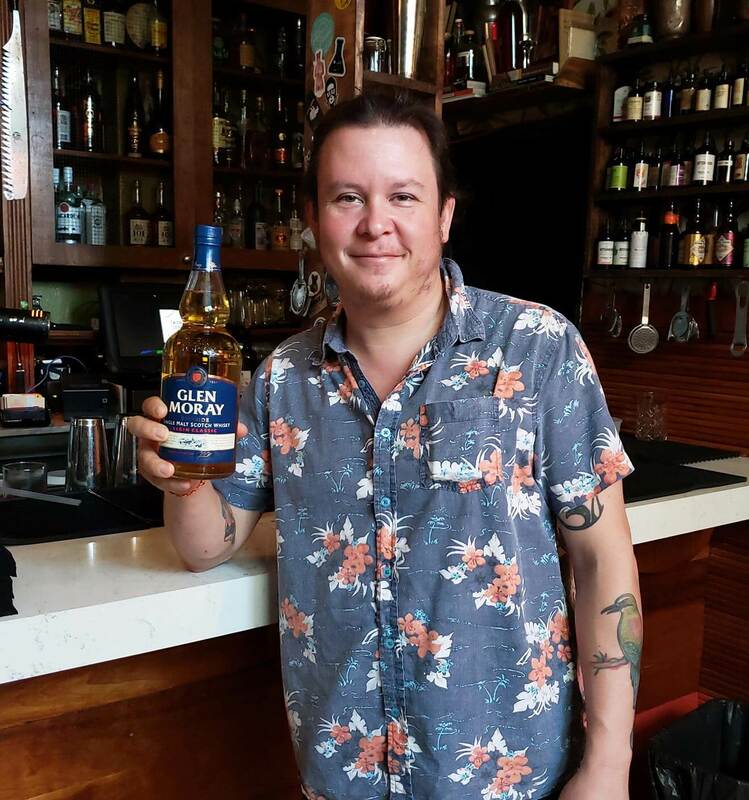 He is grateful to be working with the intimate group of beverage professionals currently shaping the future of the Magic City’s cocktail scene. Damon is eager to learn new skills and hash out ideas with fellow bartenders from all over the world. 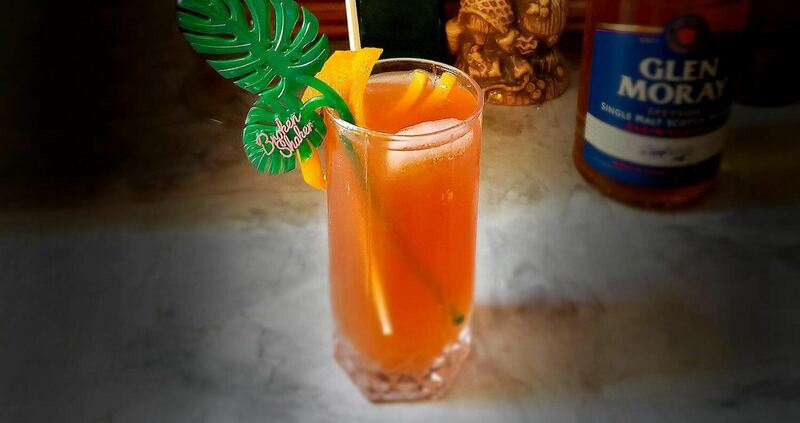 Mario transformed a background in culinary art into learning about and creating cocktails. He helped open Baume & Brix and The Grid with some chef friends and created the cocktail programs for both. He then went on to help open Folkart Restaurant Management group’s Billy Sunday in Logan Square, along with GreenRiver. Mario eventually transitioned over to the hotel industry, working for Loews Hotel in Streeterville for about three years. He currently works at Hotel Zachary. Preparation: Shake and strain over fresh ice. 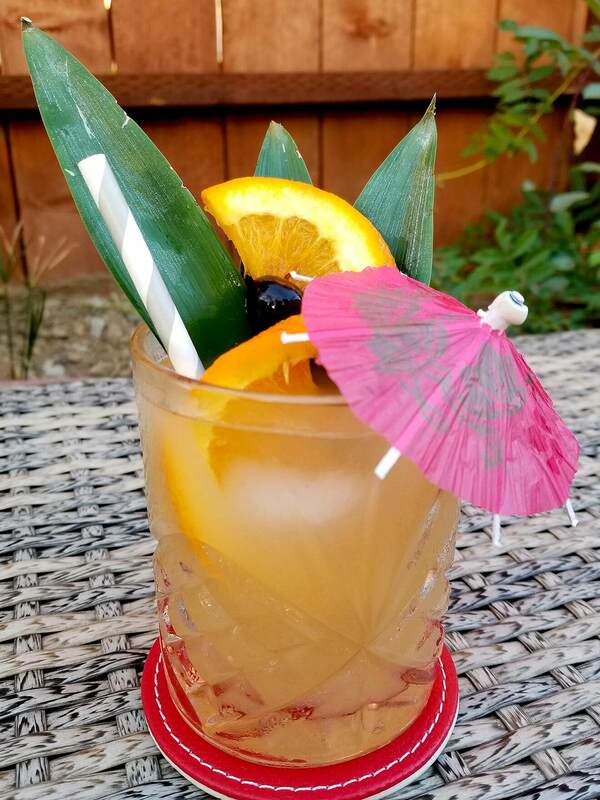 Garnish tiki-style with orange and cherry. 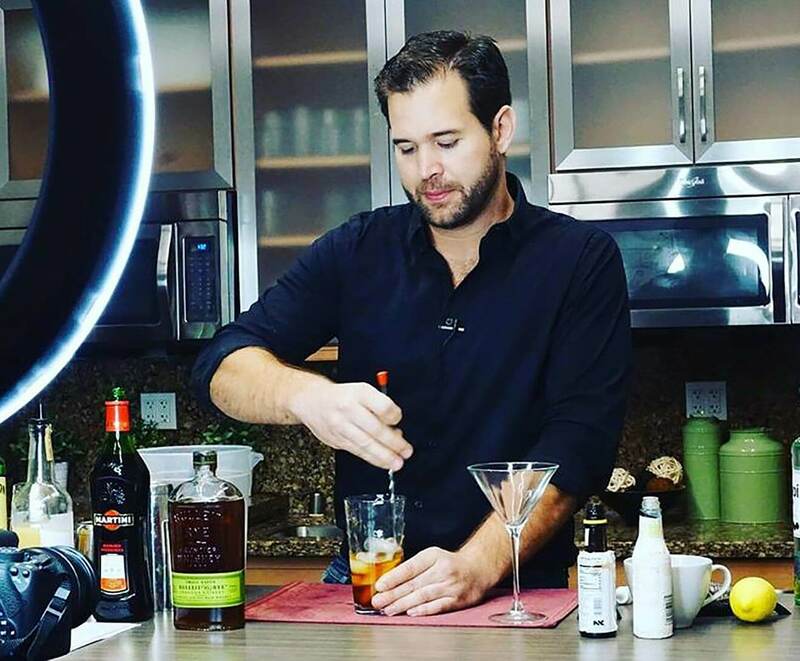 Media personality and award-winning mixologist Ryan Hooks began bartending the day he turned 21. 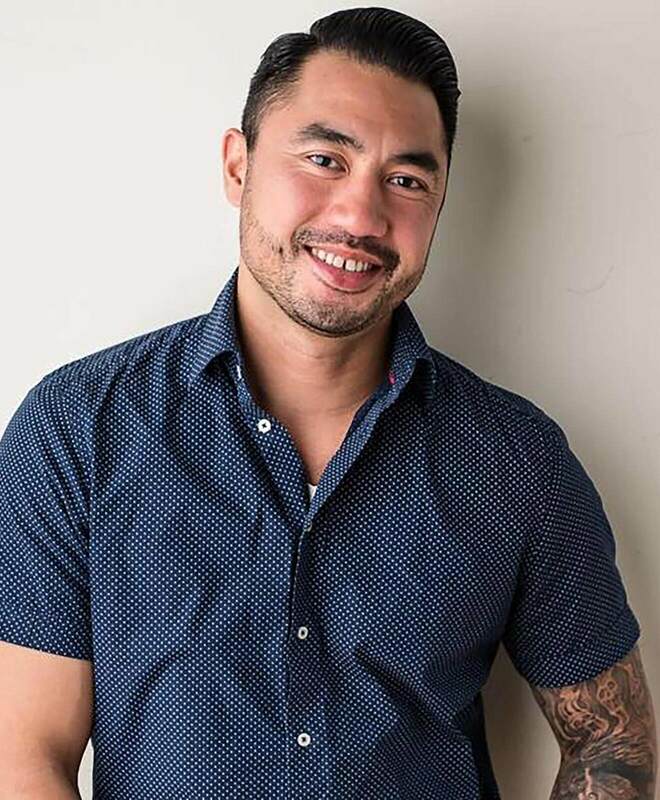 He immediately fell in love with the idea of making cocktails and helping others have a great time. Ryan has competed in and won several mixology competitions, including Best Margarita in L.A. Ryan has also spent a lot of time in front of the camera and working red carpets as a media host, which led to the idea for a YouTube series called Cocktails in Motion, where each week he presents a unique new cocktail themed after a TV show or movie. 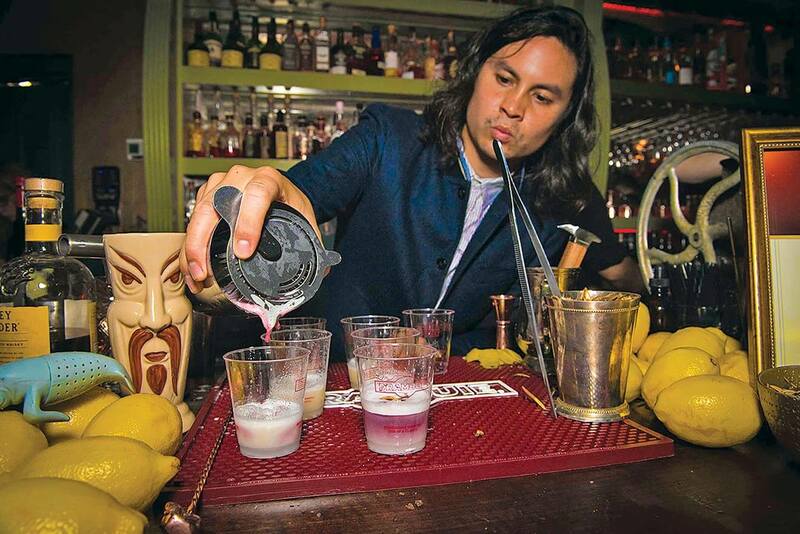 The show allows him to share his passion for making drinks by teaching others how to make them. Preparation: Muddle 3 fresh figs into a shaker. Combine all wet ingredients after muddle along with ice; shake hard until cold. Double-strain to get fig bits out, pour mixture into a coupe glass, and garnish with remaining fresh fig. Bring fig leaves to a slow boil. Tiffanie is a mixologist and freelance bartender originally hailing from Louisiana and Texas. 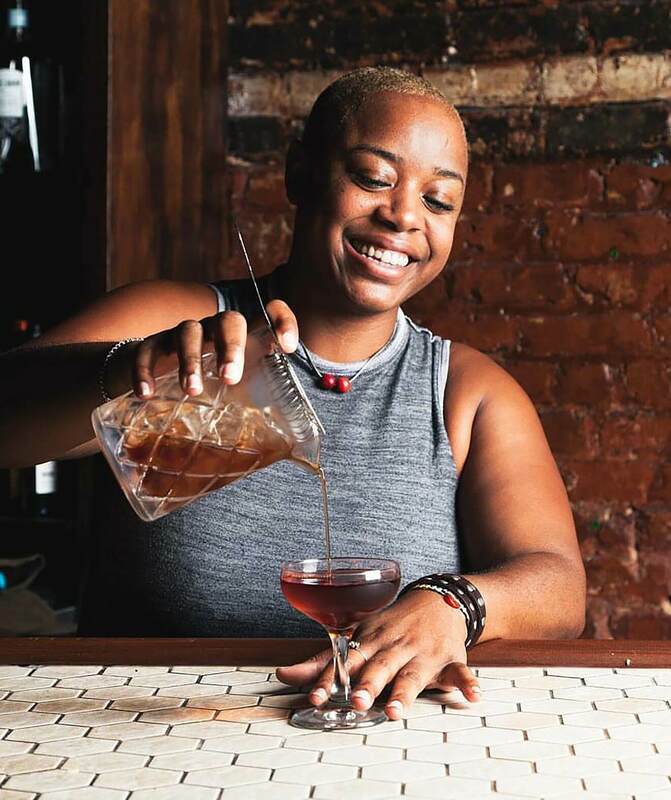 In 2015, Tales of the Cocktail selected Tiffanie as one of the five black female bartenders influencing the Atlanta drinking scene. 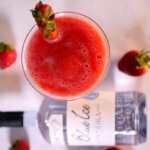 She spent seven years as the beverage director at One Flew South, which received accolades from Forbes Magazine, The New York Times, and the Tales of the Cocktail Foundation. 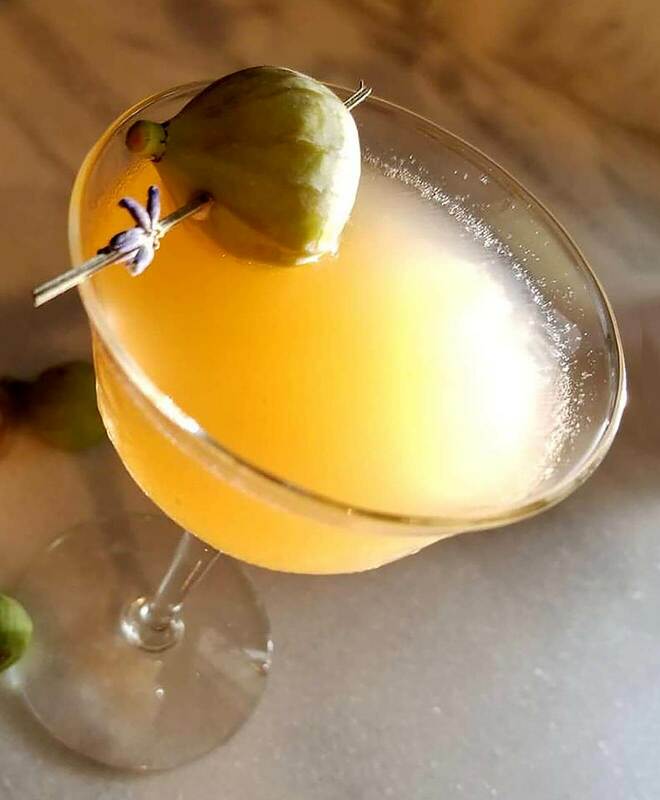 Known as “The Drinking Coach,” Tiffanie now calls herself a “freelance” bartender, opting to create cocktail menus for popup dinners and host mixology lessons all around the nation. She’s a three-time James Beard attendant, Bar Smart graduate, and winner of the Top 50 Tastemakers of the South award.